24/7 Coach Football: The Professional Coaching App. We are the original football coaching iPad app that enables football coaches of all levels to simply and quickly create bespoke training sessions and tactic boards. The app can be used for player development of all ages and for match based tactics - whether you are enrolled on a coaching course, train a youth team or coach at a professional football club - it is the alternative to traditional coaching methods. 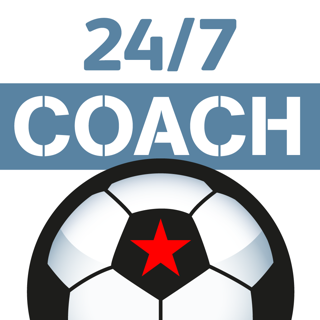 24/7 Coach Football can help players tactically develop and improve them individually and as team players - the app will enable you to take your coaching and team to the next level - it is the alternative to traditional coaching methods. The app is used at professional clubs across Europe, Central/South-East Asia, Australasia and North/Central/South America. Choose a pitch template and then start designing your session by placing various icons with your finger on the screen by simply selecting an icon (from the key) and then placing it in the desired position on the pitch - player/ball movement lines can be easily drawn into any shape and an arrow for direction will be shown. The icons and graphics are simple, clear and easy to follow which need little explanation resulting in the most fluid of all coaching apps available. 24/7 Coach Football is uncomplicated, user friendly and simple to use. Every session is automatically saved and can now be moved into dedicated folders. Sessions can be edited, planned, logged and then shared with colleagues or other coaches via email, Facebook and/or Twitter - the sessions can also be printed direct via an AirPrint enabled printer. Notes are saved as Word docs allowing the user to explain the session easily. 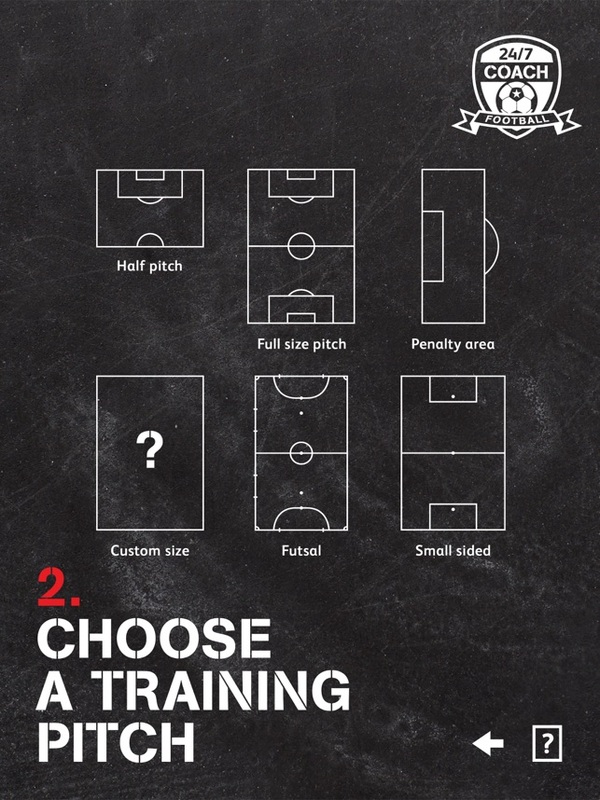 • Design sessions on a full-size pitch, half-size pitch, penalty area, futsal pitch, mini-soccer pitch and a user generated custom size pitch. • Player icons come in three colours which can have any two digit number. • Three player/ball movement lines - simply draw the desired shape on the screen with your finger either in a freehand or fixed style. • Pitch equipment icons now include 2 styles of cones and poles (in 3 colours), ladders, flags and mini goals. • Shapes (square/rectangle, circles and diamonds) can now be drawn onto pitches. • Measurement lines can be drawn to show pitch/area sizes. • Instant multiple undo and redos. • All sessions are saved automatically and any custom sized pitch can be used again as a template. • Every session can be fully edited. • Sessions can now be moved into dedicated folders of your choice. • All sessions can be copied/duplicated - ideal for sessions within a group when each session may be similar to one another. • Notes can be attached and are saved as a Word doc when emailed. • Sessions can be printed and shared. • All sessions are saved as images which can then be imported into numerous programmes including Word and Powerpoint. • Mirror exactly what you see on the screen and use ‘live’ on a HDTV or projector (Apple Digital AV Adapter or VGA Adapter needed) - the perfect way to show other coaches or players. • User friendly, quick and simple to use - it’s brilliantly effective. 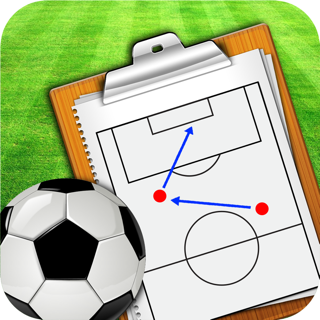 24/7 Coach Football is the only coaching app that lets you start designing sessions and tactics boards within seconds - a coach’s dream. Designed by professional coaches for all football coaches.